Both Senator Joni Ernst and Chuck Grassley voted to lift sanctions against three Russian companies linked to oligarch Oleg Deripaska, a close ally of Russian President Vladimir Putin. Why did Iowa’s senators vote to assist Deripaska, once Russia’s wealthiest man with an estimated worth of $28 billon? Deripaska also has a direct link to Mueller’s Russian investigation. Paul Manafort, Trump’s former campaign chairman, was a lobbyist for Diripaska. In April the Trump’s Treasury department issued economic sanctions against seven of Russia’s richest men and their companies in an effort to punish President Putin’s inner circle for interference in the 2016 election. 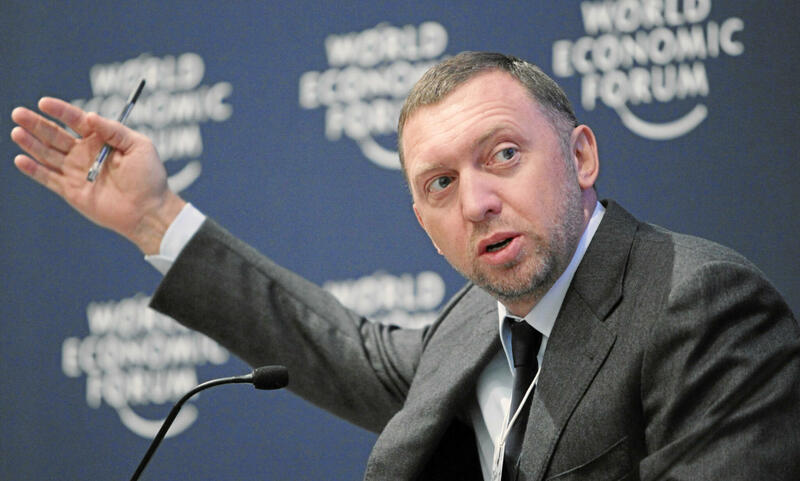 The sanctions included Deripaska, the majority owner of Rusal, the world’s second largest aluminum plant. The sanctions could effectively ruin Deripaska and his aluminum empire. If Rusal failed, it could create chaos in the world’s metal markets. Treasury secretary Steven Mnuchin claimed the Trump administration was imposing the sanctions in retaliation for “a range of malign activity around the globe” by Russia. President Trump has been roundly criticized for his seeming reluctance to punish either Russia or Putin for their interference in the 2016 election. He has pointed to the sanctions as evidence that he has been hard on Russia. “Nobody has been tougher on Russia,” Trump has repeated. Treasury Mnuchin sold Senate Republicans on lifting the sanctions by claiming he had worked out a deal that would reduce Deripaska’s control over his companies to less than 50%. However, as the New York Times investigated the details of the Mnuchin agreement, it appears Deripaska simply transferred his ownership to family members and associates therefore, retaining majority control. According to the Times, “Taken together, Mr. Deripaska, his foundation, his ex-wife, her father and Orandy Capital (a close family friend) would own nearly 57 percent of EN+ (Rusal holding company) under the deal. Eleven Senate Republicans agreed with Democrats and voted to maintain the sanctions. They saw the Mnuchin deal as a phony manipulation that benefits Deripaska, a Putin crony. The question remains, why did Senators Ernst and Grassley vote to end sanctions on Deripaska and ignore the advice of both Democrats and their Republican colleagues? Were they fooled by Mnuchin? Were they ignorant of Deripaska’s link to Russian organized crime and involvement in Putin’s attack on American elections? They must answer for their votes. Indeed they must. I asked them why, but haven’t heard anything back. My guess? Ernst because she’s still flattered that the Mango Mussolini was thinking of her for VP, and Grassley because his pal Mitch McConnell wanted our Senator’s vote to ease the sanctions. It appears that Ernst and Grassley deem it more important to pay Russian gangsters than to open the government and pay government workers.